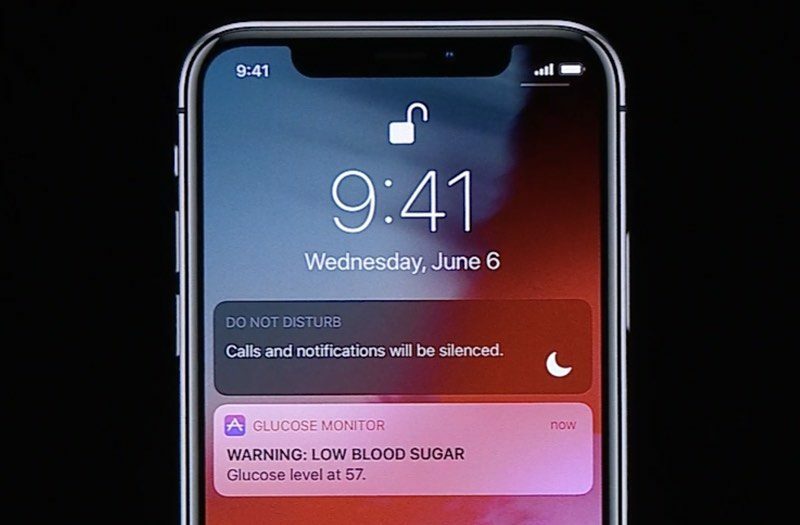 In iOS 12, Apple added several new ways for users to control how and when they receive app notifications, including the ability to group notifications and change their behavior on the fly with Instant Tuning. A lesser known feature in this subset of options is called Critical Alerts. So what are they exactly? The idea behind Critical Alerts is that if specific apps have crucial information that shouldn't be ignored – notifications related to health, home security, or public safety, for example – then you'll be alerted regardless of your other device settings. 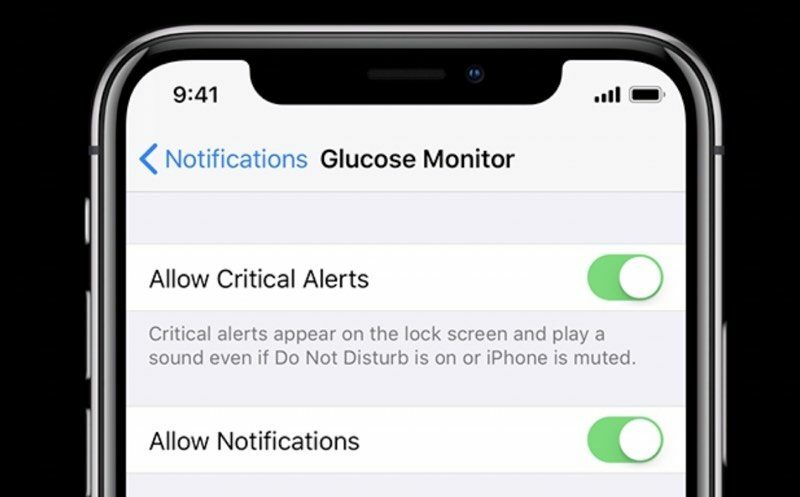 To that end, Critical Alerts override the Do Not Disturb feature if you have it enabled on your iPhone or iPad, and will even arrive with an audio alert when your device is muted. 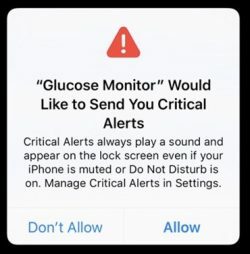 Naturally, the Critical Alerts feature is going to have limited use – you'd only want appropriate apps to have access to it (think glucose monitoring or weather warning apps) which is why Apple requires that developers apply for an entitlement to support them. For that reason, there aren't a whole lot of apps that support these alerts just yet, but if you do come across one that advertises Critical Alerts, you still get to choose whether to enable them or not. Here's how. Select the app from the list that you want to enable/disable Critical Alerts for. Toggle the Critical Alerts switch on/off. Seriously an app has to apply for the entitlement to support critical alerts??? Turn it off by default and let me decide what is critical and what isn't. I would like this for my alarm through SimpliSafe. However, there is no option for it at the moment. If there’s a break in at the office it would be nice. Apple has making it a strict opt-in feauture that needs their approval is a terrible decision. Let the user decide what is and isn’t critical by enabling it for everything. Good, and thank god for Apple doing it this way. I can only imagine the hellscape my life would become if Slack or freemium games could do critical notifications. It is off by default. You have to specifically go in and enable it, app by app. He is referring to apple having to approve apps to use these, meaning to have the ability to turn it on the app has to have been approved by apple in the first place. I agree, this is a cool feature, but so many apps will never get approval from apple for this feature. Or at least it will take a while to adopt. I’d like to have my security system notifications override DND, but I’ll have to wait for them to support it. Users should have the ability to elevate notifications to this level. Now if only this could be applied to government alerts. I got three loud horrific sounding alerts, in the middle of the night, for a missing child. Ok, that's serious. But... it happened 800 miles away, in a different province (state) and they knew that the getaway car was low on gas. If that's how the government is going to hijack my phone to send alerts, please, Apple, put them in their place (I realize they can't actually do this without breaking the law, because it is to do with regulation, I'm just airing my malcontent). They did find the child - apparently whoever stole the car she was in didn't realize anyone was in the back. I have a baby monitor I would like that for. I never liked the “all or nothing” approach to notifications. I just want a way to disable that do not disturb notification. It’s been driving me mad for months now. Macrumors, have you heard about iPhone XS&Max issues with 802.11ac WiFi over MikroTik wireless access points ? First time ever when a new iPhone is massively not working with popular network vendor.